Sony has confirmed that its online gaming branch, Sony Online Entertainment, has been sold off to investment firm Columbus Nova for an undisclosed amount of money. Operating now as "an independent developer," the studio has changed its name to Daybreak Game Company and will focus on development for all platforms. Throughout most of its history, SOE was at the forefront of much of the online gaming world, being responsible for many of the biggest online hits like EverQuest, PlanetSide, Star Wars Galaxies, DC Universe Online, and the recently released on Steam Early Access, H1Z1. Daybreak Game Company continues to own the development and publishing rights for EverQuest Next, PlanetSide 2, and H1Z1 and plans on releasing them for multiple consoles. "Sony Online Entertainment, newly rebranded as Daybreak, is a great addition to our existing portfolio of technology, media and entertainment focused companies. We see tremendous opportunities for growth with the expansion of the company's game portfolio through multi-platform offerings as well as an exciting portfolio of new quality games coming up, including the recently launched H1Z1 and the highly anticipated EverQuest Next to be released in the near future. The recent Early Access launch success of H1Z1 is just one testament to the talent and dedication of the studio's developers to create great online gaming experiences." 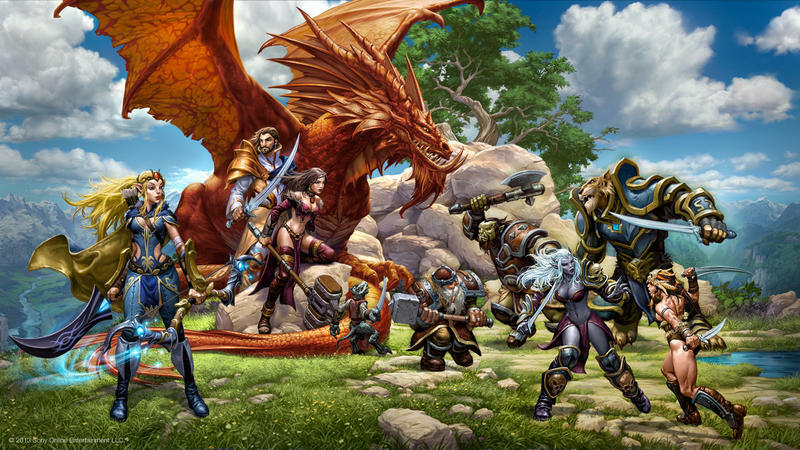 Yes, it has not been officially confirmed, but there is a very good chance now that you'll have a chance to play EverQuest Next on the Xbox One. How surreal is that?